You are here: Home / Hiking / Why You Should Choose The Best Women’s Waterproof Hiking Boots? Waterproof: Today’s waterproof footwear is not your Mom’s waterproof footwear. In the “old” days (about 20 years ago) a “waterproof” boot was one that was made of leather and coated w/ a water[resistant] spray on material. It last for about a month (if you were lucky) and then the boot was no longer waterproof. Of course, you could always get some more waterproof spray-on coating and apply it once a day or so. The predominant modern waterproof hiking boot is made with Gore-Tex fabric, so it is not only waterproof, but it breathes and allows circulation of air. It is also extremely light, so waterproof no longer means a heavy, bulky boot that weighs 4 lbs. Another aspect of the boots of old is that the tops and soles were sewn together, and there was a tiny gap in the shoe at this point, regardless of how tiny the stitches were or how tight they were stitched. Water would always manage to find it’s way through. Gore-Tex is different and will not allow water through the fabric. It’s truly waterproof. 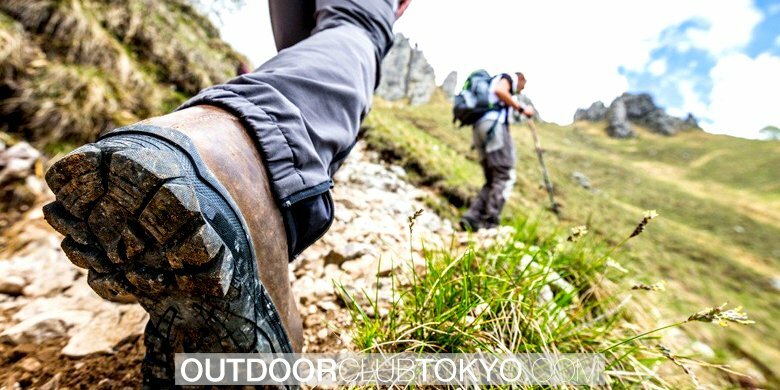 Hiking: When you are in the market for hiking boots, you’re probably expecting to do some serious hiking over some moderate to highly rough terrain. You don’t want to do these wearing sneakers or running shoes. That works for very short distances and then becomes more of a hassle than a help. If you’re a woman wanting hiking boots, you’re expecting them to protect your feet, have a lightness to them, be waterproof and look good. You can’t get all those characteristics with a tennis shoe, sneaker or running shoe. If you’re looking for decent traction or lightness, yeah, sure, a nice athletic shoe is a good choice but if you’re going to be walking for long distances through some serious land changes, you’d better get something that’s a bit more supportive and can handle the roughness of the terrain. Boots: Boots are not good for walking in certain types of terrain. Namely, harsh, sandy desert conditions or flat, asphalt-like conditions for long distances. You’d be better off with hiking shoes or even hiking sandals in those conditions. Hiking boots are great though for walking in rocky, bushy, prickly, extreme cold, rough ground conditions. They will protect you and keep your feet in good condition. Waterproof boots will make sure you don’t get blisters caused by turgor rubs, and you’ll be a whole lot more comfortable. The weight of good waterproof hiking beats is almost as light as hiking shoes because the Gore-Tex materials you’ll be wearing just have that kind of nature to them. First, let us address the reason for the hiking boot in the first place. Hiking is not, as many would think, merely walking a bit. Hiking usually means walking for extended distances and often, over unfriendly or at least significantly varying terrain. By “unfriendly” we mean that the terrain is usually uneven, often calling for some degree of climbing. The climbing may be over obstacles or even under obstacles, and it is frequently unknown to the hiker, ahead of time, whether either condition will be present on the trail which they are challenging. As a matter of fact, the condition of the trail is often totally unknown to the hiker at all. The further conditions of the terrain could be described with such terms as frozen, sandy, wet, muddy, hilly, rocky or many other friendly or unfriendly descriptive terms. 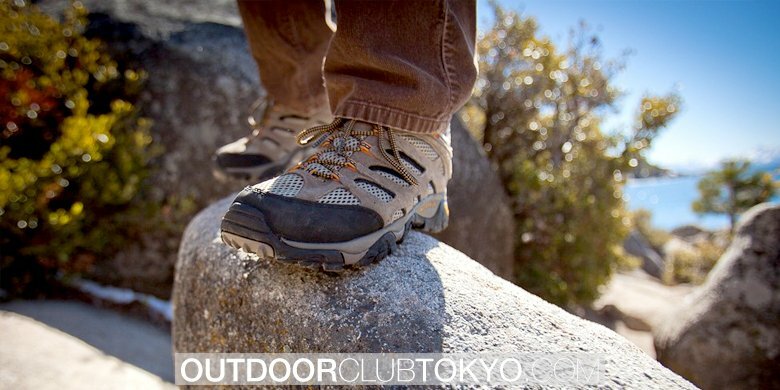 Regardless of the condition of the ground, you can pretty much depend on it being somewhat hard on the hiker’s feet. Each and every human being on this earth has different feet. The feet are like fingerprints or snowflakes in that each of them is different from the others. Yes, it’s true that all of them have some of the same characteristics but, if each foot characteristic was measurable, in some way, it would most likely be found that no two were exactly alike. Some feet are wide; some are narrow. Some are long, some are short. The toes on some feet are long while other people have short toes and long feet. Some people’s balance is on the outside or lateral side of the foot while still others balance on the inside or medial area of the foot. The differences are just too numerous to list, and each of us has some of those differences in our feet that no one else has in the same combination. Weird huh? Everyone walks differently from every other person too. The condition of your feet depends a lot on how we walk. Which area of the heel you come down on first makes a humongous difference in the shape of your arches. Ah, the arches. The arches of the feet can make your life normal or completely miserable, depending on how high they are. This goes too with the area on the inside of the big toe (curieform). Same with the ball of the foot, the ankle, the back or Achilles’ tendon, they all are different for each person. Though each of us has differing aspects to our feet, we also share many of the same characteristics and aspects. When we are young, it is normal that we have fewer foot problems. Not all people have fewer problems when they’re young but, for the most part, people don’t have as many difficulties with their feet when they are in their early years. Consequently, we tend to abuse our feet somewhat when we’re in our youth because we don’t have pain or aches most of the time. However, as we grow older, our feet begin to take on personalities of their own. As we are growing, our feet are changing. Once we have reached physical maturity, our feet stop growing and are more affected by the way we walk and ambulate because they are no longer changing, and our gait and body movements put more pressure in the same areas on our feet repeatedly. This causes problems to develop such as bunions, hammertoe, heel spurs, falling arches and just plain foot pain. So, on we go living our lives and continuously, without meaning to, abusing our feet, day after day, week after week and year after year, constantly putting various degrees of pressure on our feet and legs. Women obviously treat their feet differently than men. That is a given fact. Women’s feet are not only expected to give them a means of locomotion, but they are supposed to look good as they do it. Women are a more social animal than men when it comes to the way that they treat or mistreat their feet. When they are young girls, they often go barefoot and often are seen walking on their tip toes. Maybe this is an innate activity to prepare them for their adult lives but, nonetheless, they act very differently when they are young than they do once they start to socialize and mature. Once they reach an age of menses, most of them are beginning to wear shoes with higher heels. As they reach their teens, most girls have begun to destroy their feet by wearing high heeled shoes. Most of them adapt to this torture quite readily and are able to walk quite naturally, at a time, on their toes. Alas, they do look good, for sure. Men, on the other hand, are never expected to wear shoes that will eventually damage their feet. Most wear flat or near flat shoes for their entire lives. Still, they often develop some form of foot problem later in their lives. Many times, the initial foot problem for men is a fungus such as an athlete’s foot, during their young athletic years. Although they actually neglect their feet, the male’s feet, in most cases, develops fairly naturally and, unless they have a natural familial disease or condition of the foot later in life, most don’t have as many problems with ambulation as women do. Hiking boots are designed to provide adequate, if not excellent support to all parts of the foot as a person ambulates over lengthy and various types of terrain. When the foot is placed under this kind of pressure and stress, a plethora of conditions can result and none of them are good if the footwear is not supportive, cushioned in the right places and does not have appropriate non-slip soles. One other feature of hiking boots that is very important is that they be waterproof. 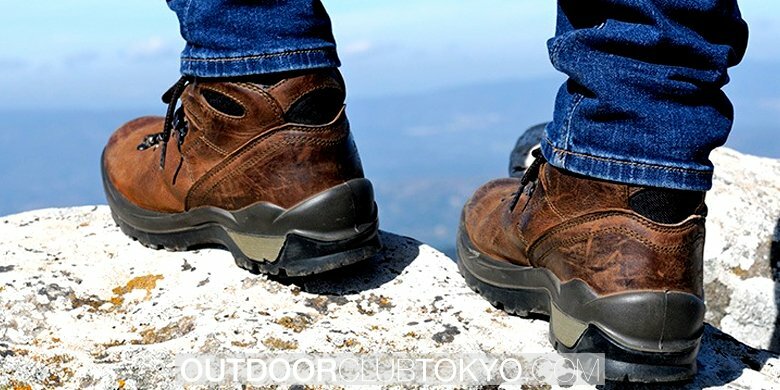 Hiking boots are also meant to be sturdy enough to give the wearer excellent protection from the ground and the many obstacles found on it including rocks, stones, heat, cold, pointed objects and rough surfaces. So, why is it so important for hiking boots to be waterproof? Actually, if the hiker knows for a fact that they will not be encountering any type of muddy or wet terrain, or if they are going on a reasonably short hike, waterproof boots are not essential. 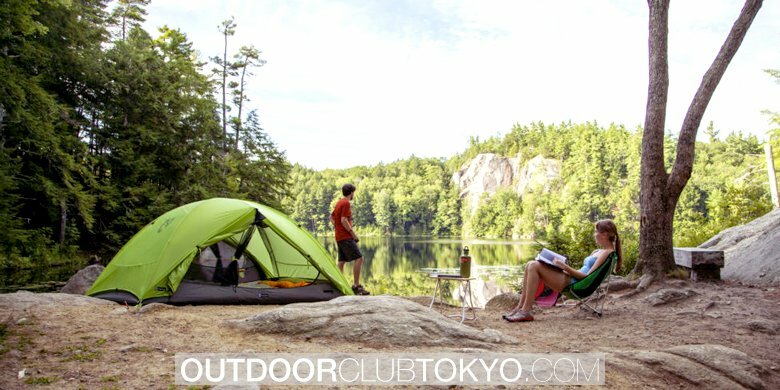 If, however, the terrain is known to have water, mud, marshy area or swamp on it; or if the condition of the area is unknown, or there has been a recent rain, snow or precipitation condition; or if the hike is going to be long and/or a multi-day hike, a hiker would be very wise to wear waterproof hiking boots. Just about everyone, at one time or another, has walked through some form of water or moisture and the moisture has gotten into their shoes. The vast majority of people who have experienced this have also had to, at some time, wear wet shoes for extended periods of time. We’d be willing to bet that this was not considered a pleasant experience, in the least. Wet shoes are both uncomfortable and damaging. When footwear is wet, it tends to grab at the skin more, and this causes severe blistering in a rather short time. Blisters can develop into very painful and debilitating wounds that will bring about infection or worse if they persist. Walking for long distances over uneven and often difficult landscapes is virtually impossible when severe foot problems develop. The result can be the need for rescue or impromptu crutches as well as a great deal of misery. Wet feet alone can cause this problem and can be easily avoided with waterproof hiking boots. So, our conclusion is that since there are so very many varieties, brands, sizes and types of hiking boots available, there is no reason for a person who is intent on hiking to have to suffer unnecessary foot discomfort. The main lesson to learn from all this is that one should be absolutely certain that the hiking boots they decide to purchase will fit them perfectly. There should be no doubt that the boots will do the job they were intended to do and be comfortable to boot (pun intended). Since each of us is different, it pays for a perspective hiker to invest in a very good pair of hiking boots. If a person intends to hike often and for long distances, it would certainly behoove them not to hold back on their hiking boot investment. Get the best boots that you can afford. With so many different varieties out there, there’s bound to be one that will please the most discriminating outdoors person.